Today is the full moon lunar eclipse leading us into a BIG energetic time. During this time you will feel like you are on an emotional roller coaster with intense emotions that will pass quickly. Your challenge is to discern when your state of mind is based on emotions. Try to avoid acting on emotion during this time. Sit with your emotion and watch as it passes like clouds in the sky. Use this incredible energy though for your benefit. Let this energy assist you to move projects forward, to get out of your comfort zone and to take action. Today is a turning point, change is HERE! You can no longer ignore the guidance from the universe. This energy is dragon energy. 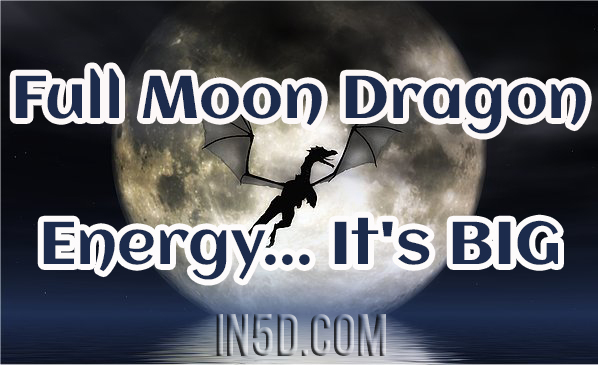 Dragon energy fosters change and growth. It’s here for you to take advantage of. Today is a MAGIC WAND day, you will create something new, something lasting and real and something fulfilling, and you get to decide what that new thing is to create. You KNOW what to do, now go out and do it!